We are almost near to meeting the deadline of GDPR implementation to our business and there are many marketers out there sharing the mixed opinion and reactions to it. Compliance with the GDPR is necessary for the business to withhold- whether you are located in EU or any other part than EU. What exactly the GDPR is and how will it affect the business? It will definitely add to the benefit of companies, big or small. Also an email marketer too, will have to take the steps to become GDPR compliant for the commercial successful. Before taking the look on how to become the GDPR compliant, let us understand the brief history behind it. Disclaimer: The information we have shared here in the blog is purely for the knowledge and understanding purpose of the different regulations altogether executed as GDPR. Kindly do not consider this as the legal advice to your business but as a knowledge based content. Before you implement GDPR, it is advisable to consult an attorney in order to avoid the legal issues. By reading this article you secure Sparkemail from the legal implications thereby not holding us responsible for any action related to the content shared here. General Data Protection Regulation (GDPR) is the regulation in Europe (EU) law for the protection of data, maintaining the privacy for the European Union citizens. It will replace the 1995 old data protection directive of the European Union. Email marketers who are good at maintaining the ethics of email marketing are safe to learn these regulations. The revised GDPR is all set to become effective from 25th May 2018. It was adopted on 27th April 2016, considered as the most feared one. The business organization who will fail to compliant the GDPR will have to face the consequences i.e. fine up to 2% of the annual global turnover or 20,000,000 EUR. How will the GDPR affect Email marketing globally? Because GDPR is a regulation, the global influence over the email marketing will be significant. It is formulated for the EU citizen’s data protection collected by the EU companies whether it is based in EU or not. In the email marketing GDPR influence is to protect the personal data of the subscriber. The information that is used either independently or in the union with other data, to determine an individual is termed as personal data. For an instance, the email address, name, age, gender and other information you have collected from the sign up form for your company is bound by GDPR policies and the regulations. Overall GDPR is the good thing for email marketing. 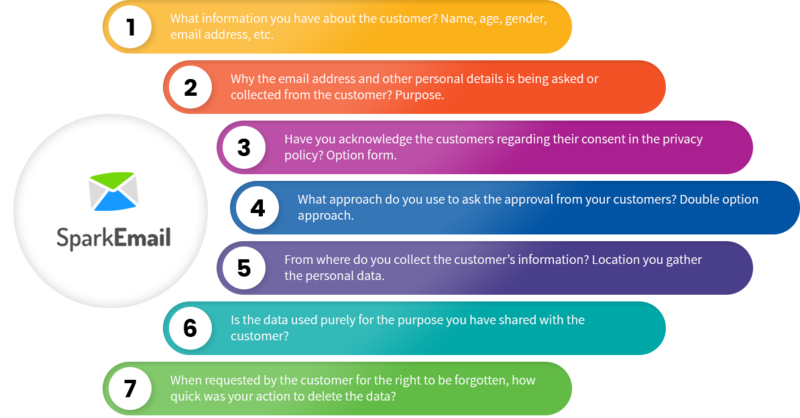 Under the GDPR it is important to explain and instruct the subscribers about the reason for collecting their personal information. This means you have to make them know why do you need their email address and what will you do with it? Even it is required to monitor the metrics or adding their address in the mailing list. Once the subscriber approves it to you then only you can send them emails. For the existing email address list you will have to get the similar permission before 25th May 2018. Anytime subscriber can ask or obtain the confirmation for the purpose you have collected the data. The proof has to be provided to the subscriber, sending them the electronic copy at free of cost. At the same time when the data is used for the purpose you had collected from the subscriber, if requested to forget the data by them, it has to be erased from your side. All kind of data has to be erased, nothing should be stored- no backups neither production storage. Data processor team has to notify the customers about their data on time and if delayed, the duration should be notified as well. All these changes are applicable to you and your company however you start the process of collecting the personal data from the EU subscriber. Companies located outside the EU and are offering the services to their residents also have to follow and are compliant of GDPR. Analyze your mailing list carefully and strike out the inactive subscribers, in particular belonging to the EU nation. Now send the consent email to your active EU subscribers from the list, asking them to enroll in the email list. Once you receive the validation for the same, add their approval/authorization into the records for the future reference/ investigation. Now send them confirmation email thus making them eligible to receive the mails from your company. If there is no reply from your subscribers you have to avoid them sending the emails. Silence from your subscribers is the red flag for they don’t want to see any emails from your company/brand. Once the process streamlines for the existing subscribers it is important to do the same for new one as well. Under any circumstances do not buy the email list (which was also a no-no before GDPR implementation) or use any other misleading option to collect the email addresses. Unsubscribe to the marketing communications. So overall GDPR is the good news for you. Here’s how? Your subscribers will applaud you for maintaining transparency with them through permission based marketing. This transparency will lead to brand trust, thus giving the control power of sharing the personal details and other information over the hands of subscribers. Your email list will have those subscribers who are genuinely interested in your brand. Thus the quality of the list will improve by reducing the unsubscribers. GDPR in the email marketing is all about the benefits and lots of improvement in the email marketing campaigns as well as the customer’s engagement with your brand.